A sad thing happened as I was getting ready to use some real sticks for a fun post… it rained! Can’t do much with a bunch of wet sticks! 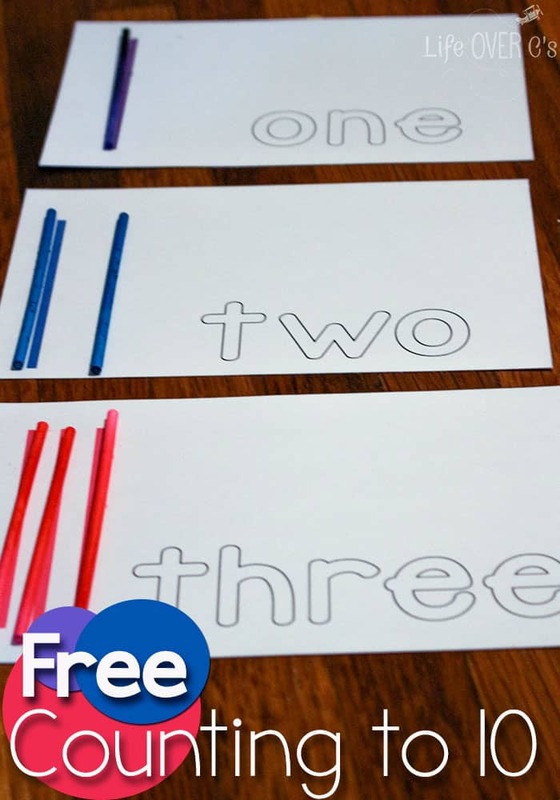 So, instead I’m going to share with you some fun math activities & free counting cards for sticks (well, cake pop sticks, anyway!) There are so many different activities that you can do with these sticks, so I’m sure this list is just scratching the surface! First, we dyed our sticks. Just for fun. It was super easy though. Just like dyeing pasta or rice. I did have a thought for a few moments to try to paint them, but quickly realized that the paint wasn’t going to stick to the sticks. Put ten sticks into a snack-sized zip top baggie. Put a knife-tip worth of food coloring gel into the bag. Carefully, mash the bag around in your hands until the sticks are completely coated. Lay on a cookie sheet to dry. Turn often, so that all the sides will dry. Repeat for as many colors as you want. We had 100 sticks, so we did 10 sets of 10. Download the Free Counting Cards here. Print the file above onto card stock. If your child knows her letters, have her show you the letters she knows on the card and demonstrate the sounds. Then read the word with her. 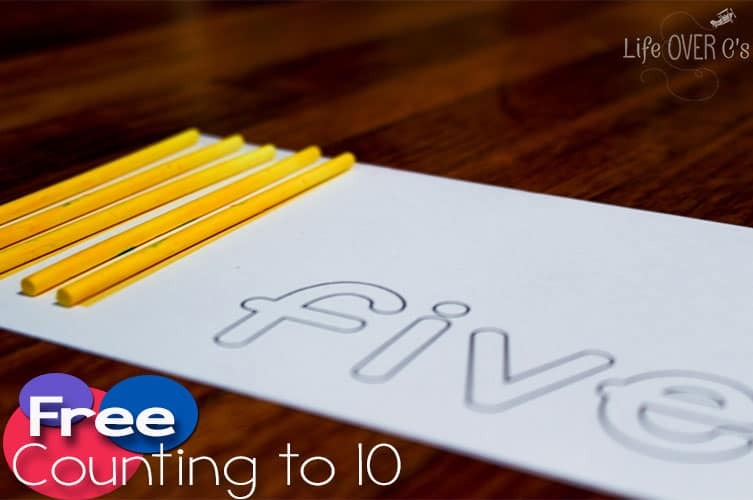 Have your child trace the letters with her finger. What else can you do with cake pop sticks for math and learning skills? Put the sticks in groups of ten and then count by tens (can also be done with 2s and 5s). Create shapes with the sticks. A circle might be hard, but any other straight-sided shapes are totally doable. Make a color pattern. Try an ABAB or an AABB pattern. Select out two sticks of each color, place them randomly in front of your child and have her find the matching sticks. Talk about the color names. So many things to do with these cute, little sticks! Ohhh I never knew that we could dye cake pop sticks – I think we will be having lots of fun giving this a go this week. lol! It turned out great! Just make sure to distribute the color evenly unless you want a really cool ombre look. Neat idea! I also didn’t know you could dye cake pop sticks. My 3 year-old is in to counting everything right now.